KASU Post UTME Latest Update: This is to inform the general public that the closing date of KASU Post UTME screening have been extended to 2nd September 2018, kindly inform others. 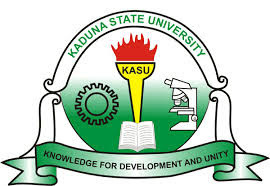 This is to inform all UTME candidates who applied for admission into the Kaduna State University (KASU) for the 2018/2019 academic session that the University has commenced the sale of Post-UTME screening form. This online screening exercise is for candidates who chose Kaduna State University as their First Choice through UTME or DE. Register for the 2018/2019 Session Kaduna State University P-UTME Admission Screening Exercise by using your JAMB Registration Number and also making sure you have a valid email address and a recent passport photograph. as screening fee at any commercial bank on the PayDirect platform. Use “University UTME Screening Fees (Kaduna State University)” as the beneficiary account name on the teller. After payment, a payment receipt will be issued. For any correspondence and enquiries on the P-UTME/P-DE Admission Exercise, send an email to postume@kasu.edu.ng quoting your JAMB Registration Number.